Very few chalets offer skiing families this quality of accommodation. There is a hot tub on the terrace, your own sauna, a well equipped cinema complete with Wii U, a dedicated playroom and a pool table in the lounge; you won’t struggle to keep the family amused when you get back from a day on the slopes. Coupled with our in-chalet childcare service and high quality home cooked meals from your chalet hosts you have everything you could need for the perfect family skiing holiday. All bedrooms are en-suite and offer flexible accommodation for groups of up to 17. You can also book as an individual family. The bathrooms are a real feature in this chalet with two offering stunning views of the valley below. The nearest slope is a blue run less around 50 metres from the chalet. From here you can ski down to a choice of chairlifts. 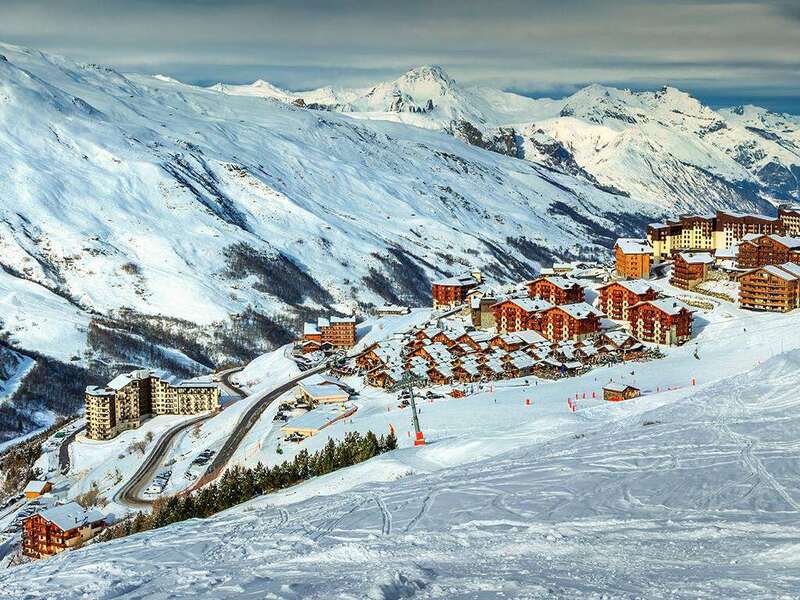 Alternatively walk up to the centre of Les Bruyeres and a modern cable car giving easy access to Les Menuires, Meribel and Val Thorens. Room 3- Double room with ensuite jacuzzi bath. Space for additional bed. Rooms 4 & 5 - Adjoining rooms making a family suite. Double with en-suite bath. Triple (bunks and single) with en-suite shower. Room 6 - Family suite. Double and bunk room with en-suite shower room. Sofa bed in bunk room.